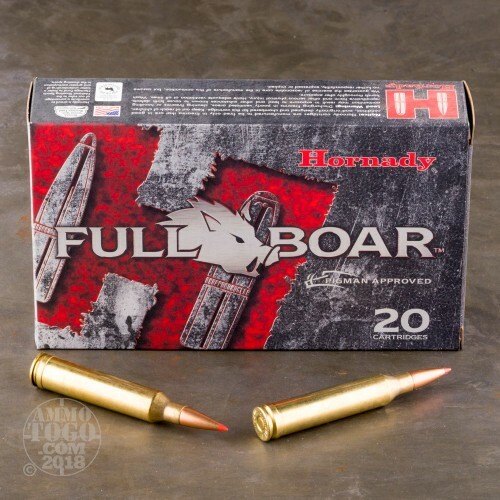 Full Boar ammo tells you up front what it does best--bring down wild hogs! 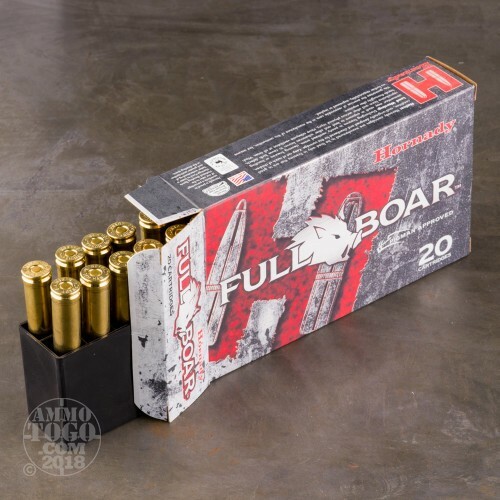 These 7mm Remington Magnum cartridges fire a polymer-tipped solid copper Hornady GMX bullet that rips through hide and bone for a quick kill on the animal. 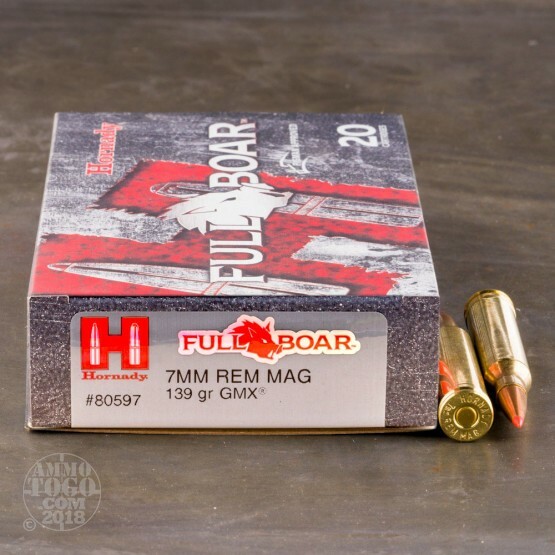 Each round in this box of 20 fires a 139 grain version of the GMX. These cartridges are loaded in Grand Island, Nebraska and use non-corrosive Boxer primers and brass cases. last season got 2 deer with 2 shots ! 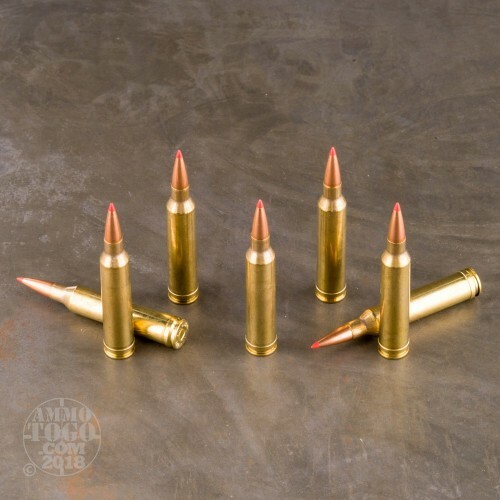 Amazing knockdown power.Dialed in the loads very easy at the range using same grains as my lead ammo .Im sold on these copper rounds.